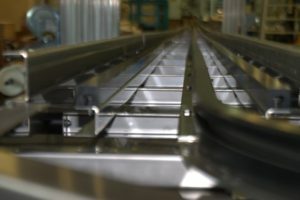 Validex conveyor for tays clearing, above a low entry dishwasher. 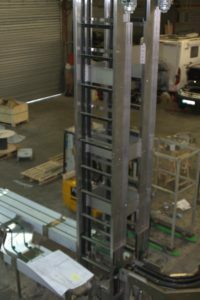 Conveyor with dual waste trough. 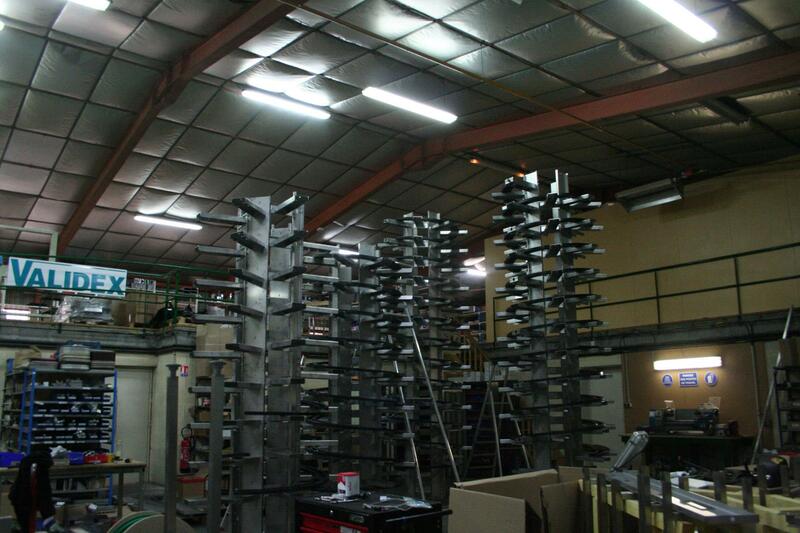 Operates 365 days / year, 2 times a day, more than 4000 trays, for 17 years. 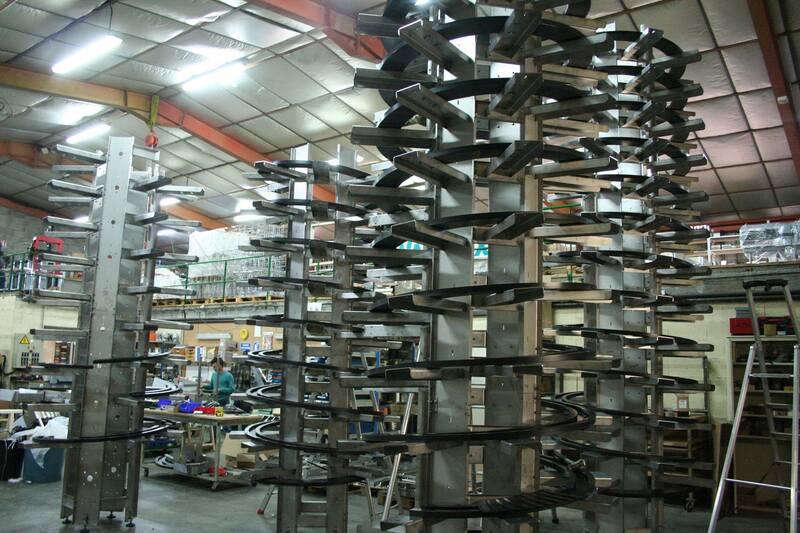 A real stainless steel forest growing inside of our workshop, vertical conveyor “Helicoidal à palettes”.